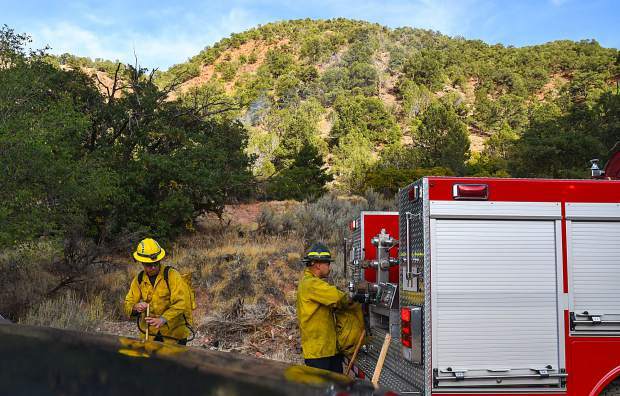 In this file photo from September 2018, Glenwood Springs fire crews respond to a fire at a homeless camp on the hillside near 26th Street and Palmer Avenue. 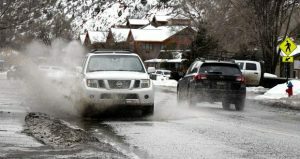 Voters in the Glenwood Springs and the rural fire district overwhelmingly approved two related ballot questions extending property tax support for fire and emergency services. 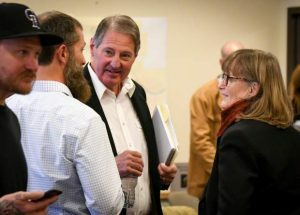 Ballot Issue 2A for city voters, as well as the Glenwood Springs Rural Fire Protection District Ballot Issue 6B, both are passing overwhelmingly with most of the ballots counted. As of 8 p.m., roughly 60 percent of voters supported 2A and close to 70 percent voted yes for 6B. 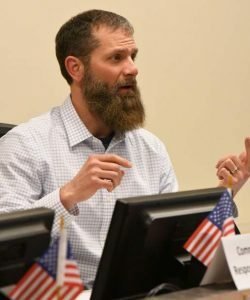 Both questions asked Glenwood-area voters to continue existing 6 mill levy to adequately fund fire protection, medical, rescue and other emergency services’ operational and capital costs. 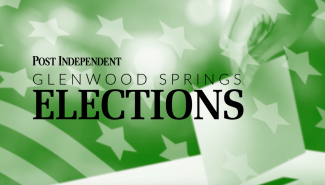 “I think that the positive vote is a recognition of the value of having a good, effective fire and EMS service and it is an acknowledgment that the voters feel like they are getting value for their dollar,” Glenwood Springs Fire Chief Gary Tillotson told the Post Independent. 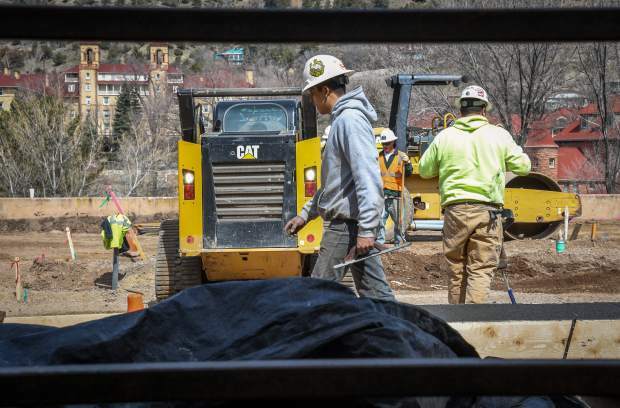 The passage of 2A will in turn collect an estimated $1.4 million, annually, in 2019 from Glenwood Springs and 6B will bring in an approximate $500,000 from the rural district. Both taxes will run through 2038.